Haber Transport started in 2003 with a single road tanker and 35 years of previous experience in the handling of ammonia, steadily growing its operation and expanded its fleet exponentially to enable it to safely transport ammonia all over the country – and even across the border. .
We obtained more road tankers and at the present moment we can move up to 20 tons of bulk anhydrous ammonia in one go or 50 tons at a time in three tankers. We do abnormal loads on request and We offer portable ammonia storage facilities - temporary or permanent. Contact us for a quote. 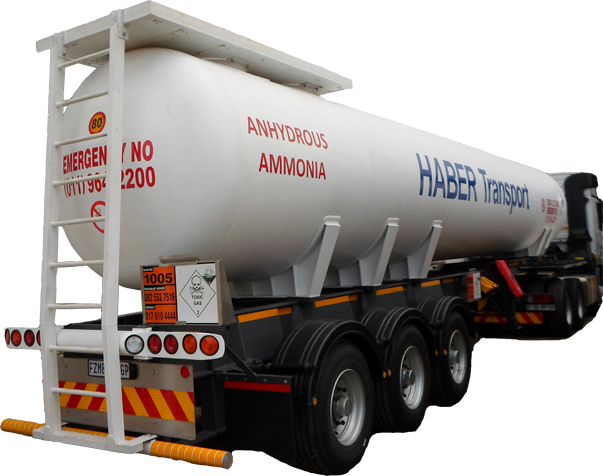 We also do cross-border transport of bulk anhydrous ammonia and goods to the rest of Africa. We also distribute bulk anhydrous ammonia in smaller quantities. That is why Haber has never had any incidents or accidents involving ammonia, even though some of the refrigeration plants are situated right next to mine shafts..
Its current fleet consist of relatively new Mercedes Benz vehicles due to the reliability of the manufacturer thereof . 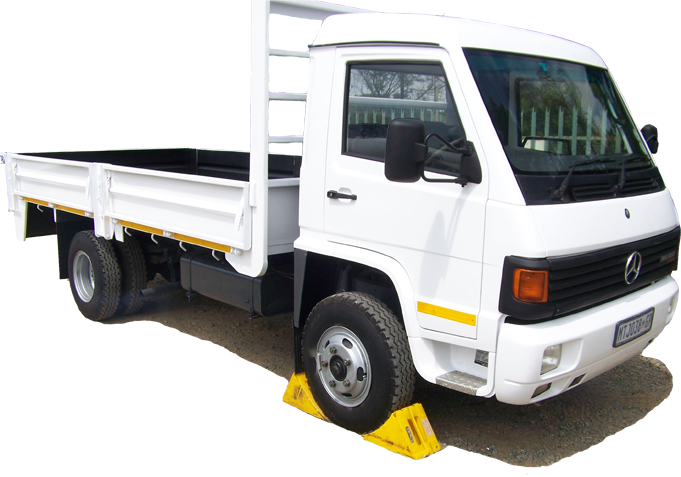 We have a standby truck ready at all times for emergencies. All mechanical horses are properly maintained while under guarantee by Mercedes Benz and after that, at the company’s own workshop. We have 5 x road tankers of different sizes and can presently move up to 50 tonnes of bulk ammonia in one go. We also have several portable tanks to rent out to our customers on a monthly basis or for transport of small quantities of ammonia.